I recently wanted to save an animated GIF off of Twitter to my hard drive. A right-click did not provide me with the option to save it though. Twitter does things slightly different with videos and animated GIF images. However, I did find a way to save animated GIF files. Just use these steps I performed on a desktop computer using Google Chrome as my web browser. Select the individual tweet to bring up only a page that shows the single tweet with the animated GIF. You can do this by just tapping or clicking the words in the tweet. Switch over to the mobile version of the Twitter site. 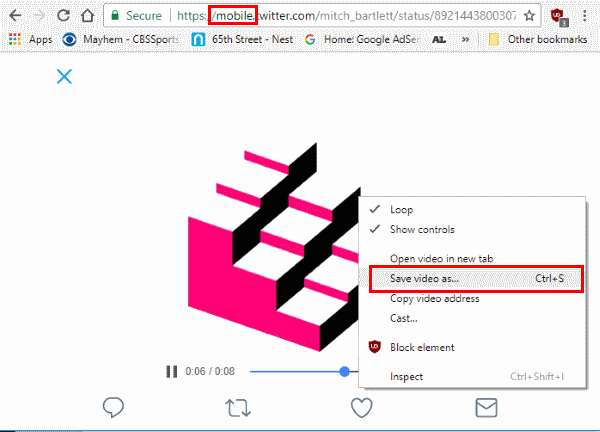 You can insert the word “mobile” before “twitter.com” in the address bar of your browser. Click or tap the video to start playing it. You now have the option to save the movie if you right-click it. Just a note, the GIF will save as an MP4 file. 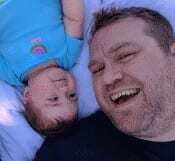 Which is a video formatted file. Great !! Worked like a magic! Thank you so much for your kind “help” I was using Syncer but it does not work for all cases. Happy Sunday to you !! Thanks again.